A lifestyle village for over 55’s that incorporates a communal ‘Enclave’ for residents to enjoy the many facilities it offers including indoor pool and gym, movie theatre and lounge area. Stonehedge worked closely with local developers MBark, and building company Strongbuild in sourcing stone and creating a feature wall at the entrance and also a double sided fireplace that has become the meeting place for residents to share a cup of coffee or a glass of wine. The main feature of the courtyard incorporates a dry stone sculptural water feature, designed and installed by Stonehedge. Representing new beginnings, ‘The Egg’ is over 2 metres high, weighs 5.5 tonne and was sculptured using more than 10,000 individual pieces of hand crafted stone. Form follows function – A creative wood store makes use of otherwise unusable space and allows residents to stock up for long winter nights while still remaining cosy and warm inside. 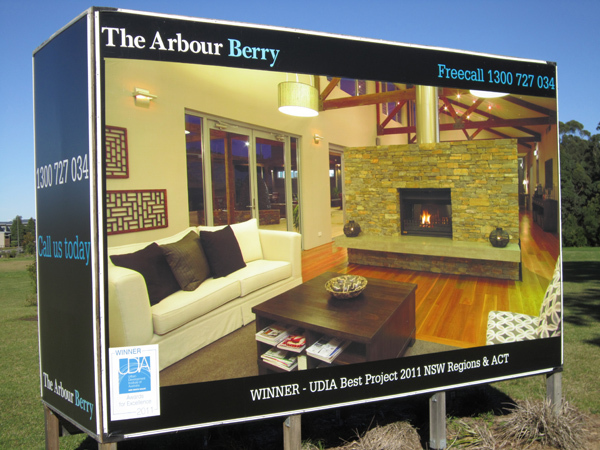 Brett Hofman of Stonehedge was recommended to us to play a vital role in the presentation of The Arbour, a premium quality over 55’s estate on the NSW south coast. Our vision for The Arbour was to create an aesthetically consistent theme throughout the estate which highlighted the uncompromising quality of the estate. Brett was able to link this theme from The Arbour’s front entrance through beautiful stonework, through the beautiful fireplace and feature wall at The Enclave, the estate’s recreational facility and with the crowning achievement being the sculptural element in the central community courtyard. Brett provided the link we were looking for. What impressed us, was his ability to take our design and add the ‘wow’ factor as well as adding some crucial components in the design process of the courtyard water feature. Drawing on the age-old symbol of new beginnings – the egg- fit perfectly. We would be more than happy to recommend Stonehedge as a team who know their craft and deliver on their promise.